The main event at this sister shop to Ramen Dojo is the stewed pork belly ramen, which has been known to sell out within hours after opening. 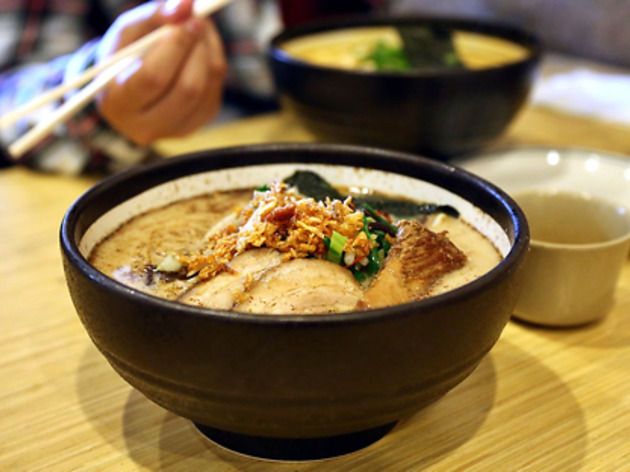 This San Mateo restaurant is the counterpart to its tiny sister shop, Ramen Dojo, graced with easy parking, ample seating and high ceilings. 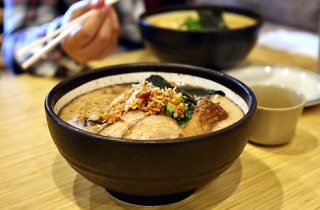 The main event is the stewed pork belly ramen, which has been known to sell out within hours after opening. The fatty Kurobuta pork is complimented by a hard boiled egg, fresh bean shoots, green onion and nori, all submerged in a fragrant, meaty broth.